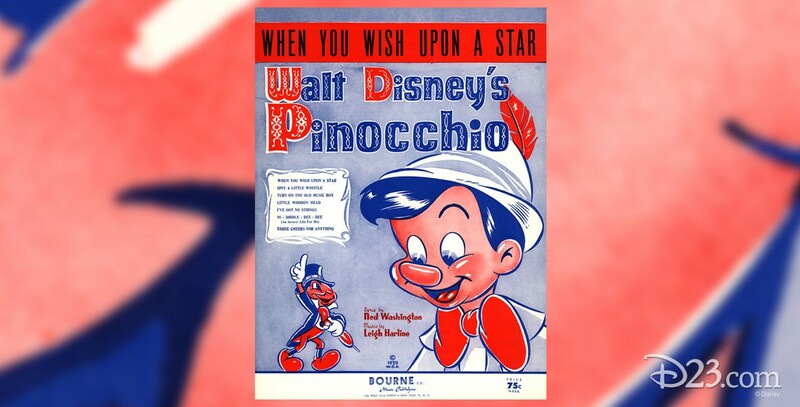 When You Wish Upon a Star Song from Pinocchio, written by Ned Washington and Leigh Harline. It won the Academy Award for Best Song, and has become almost a theme song for The Walt Disney Company. For years it opened the Disneyland television show, and is played as guests enter the castle at Disneyland.